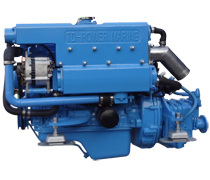 The range MP-485, MP-4110T, MP-4120Ti, MP-4110NT, and MP-4130Ti.This new range of 4 cylinder diesel engines, starts with the MP-485, which is naturally aspirated. With the larger models having a turbo, and the 120hp and 130hp both have intercoolers.All come with hydraulic gearboxes, developing max hp at 3,600 rpm, and 3200 rpm for the 110hp and 120hp(Recreational Craft Directive emission compliant). 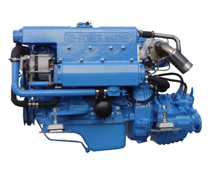 Quality engine design for the harsh marine environment. 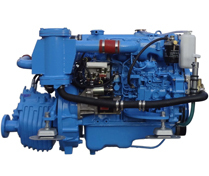 Reliable heat exchanger cooled, naturally aspirated, indirect injection diesel engine. Designed for both leisure and commercial applications. Cast iron cylinder head and block.